Rabbi Zalman Melamed calls on the public to attend the mass Hareidi rally against the Supreme Court over the Emanuel conflict. 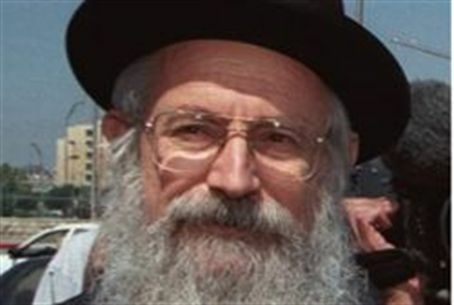 Chief Rabbi of Beit El Rabbi Zalman Melamed, who also serves as the Dean (Rosh Yeshiva) of the local yeshiva of higher studies, expressed full support for the mass hareidi rally against the Supreme Court and called on the public to attend. The issue is the Supreme Court ruling that forces Hassidic parents in the Shomron town of Emanuel to send their daughters to a school they believe does not meet their religious standards. The Supreme Court ordered the girls' parents to arrive for their imprisonment at 5 p.m. this afternoon, in light of the position of the parents not to negotiate a compromise. Tens of thousands of policemen are on hand in Jerusalem to counter what could be twice that amount of hareidi-religious protesters, in what has been called the “mother of all protests.” The hareidi-religious are expected to accompany 68 parents from Emanuel to jail at the end of the mass protest against irreligious coercion. Earlier, President Shimon Peres met with Rabbi Meir Porush and Rabbi Yitzchak David Grossman, in a final attempt to calm things down. At the meeting with Peres, Rabbi Grossman said that "in the next few hours, thousands will take to the streets, headed by Rabbi Elyashiv whose descent into the street is comparable to saving lives. While in the background, we as a community must respect the law, I appeal to you, Mr. President, to find a way to stop the imprisonment for a few days and allow us, the Rabbis, to find a path of compromise." Rabbi Porush said that he represents a public that does not want to degrade or discredit the court and therefore he proposes to begin the summer vacation early this year, such that a solution can be found for the coming school year. Rabbi Grossman offered to personally teach all the girls at the school, without any discrimination, during the two weeks left until summer vacation.